Welcome to Mountain Memories Farm. 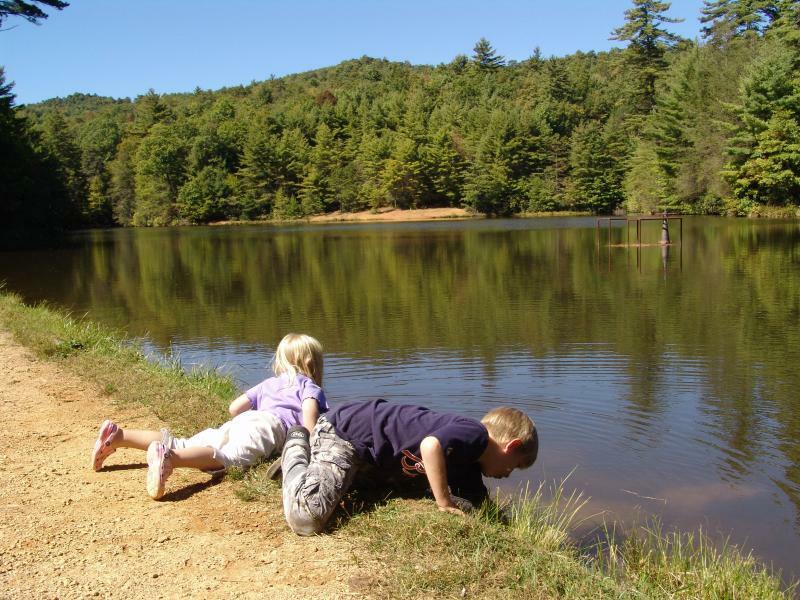 Nestled in the heart of the beautiful Blue Ridge Mountains of Southwestern Virginia, Mountain Memories Farm has been owned by our family for five generations. Just as in the old days, we know how important it is to feed your family fresh vegetables, meats of quality and fresh eggs. It's what we grew up on. Our lambs, goats, beef, and hogs are grass fed and receive no added horomones or antibiotics. Our chickens are free range and also receive no added horomones or antibiotics. We grow our vegetables organically, and we are in transition to become certified organic under the National Organic Program and are following the requirements of the NOP. Here at the farm we continue to live our lives as our ancestors once did. Every day includes feeding the chickens and gathering the eggs. Springtime is a busy time of year with plowing garden, planting vegetables, and mowing and bailing hay. Springtime is also the time for baby lambs, calves and pigs. It's a 24 hour day checking on them and making sure that the little ones are okay. Summertime is filled with gathering vegetables, mowing more hay and bailing it and going to Farmers Markets and planting fall vegetables. Fall is the time for the final cutting of hay and harvesting the fall vegetables. We also wein all of the baby animals and get everything ready for Winter. Well, there's no rest for the weary. In Winter, we spend most of our time just feeding and taking care of all the animals and getting ready to start all over again in the Spring. We also do our Winter deliveries. Growing up on this farm was a wonderful experience and we are passing the experience along to our children and grandchildren. 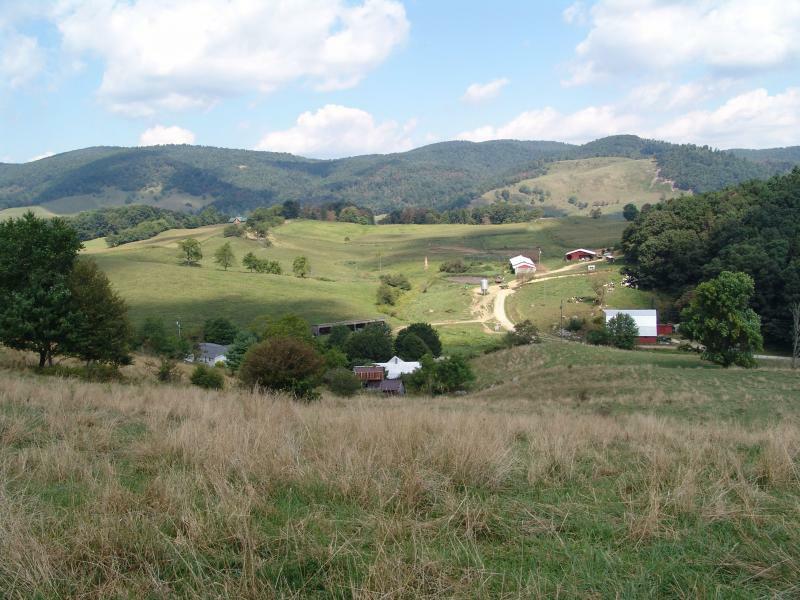 Our farm is located at 1541 Mount Zion Road, Elk Creek, Virginia. We would love to have you visit. Grace is our new helper at the market. She took time from her busy schedule to speak with the press. Thank you Grace for all your help. Excuse me, are you in my nest or Would you give me a ride to the barn? 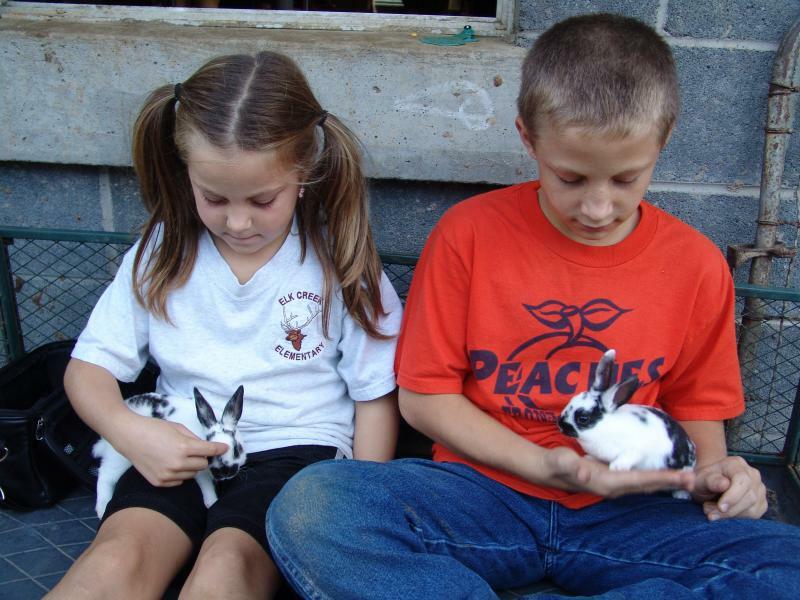 Sally and our Grandson Chance with rabbits. Our milk cow's baby calf. I love the heart shape on her forehead. Would you like to enjoy the surrounding area? 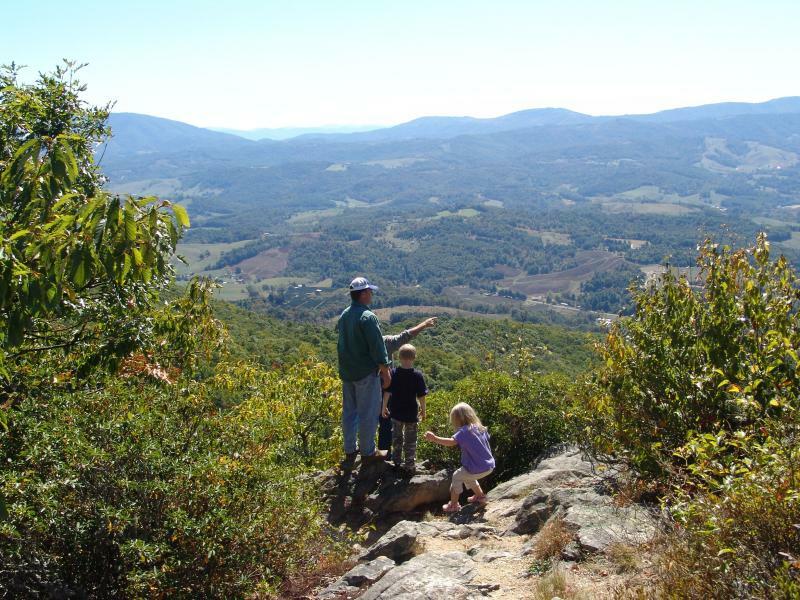 For the more energetic visitors how about a hike on mountain trails in the beautiful Jefferson National Forest, or on the highest mountain in the state of Virginia, Mount Rogers. Would you like to float in a canoe on the New River, the second oldest river in the world? Comers Rock Overlook and Hale's Lake, Jefferson National Forest, Elk Creek, Virginia. A great location to hike, bike, go horseback riding, camping or just get your feet wet on a hot summers day. 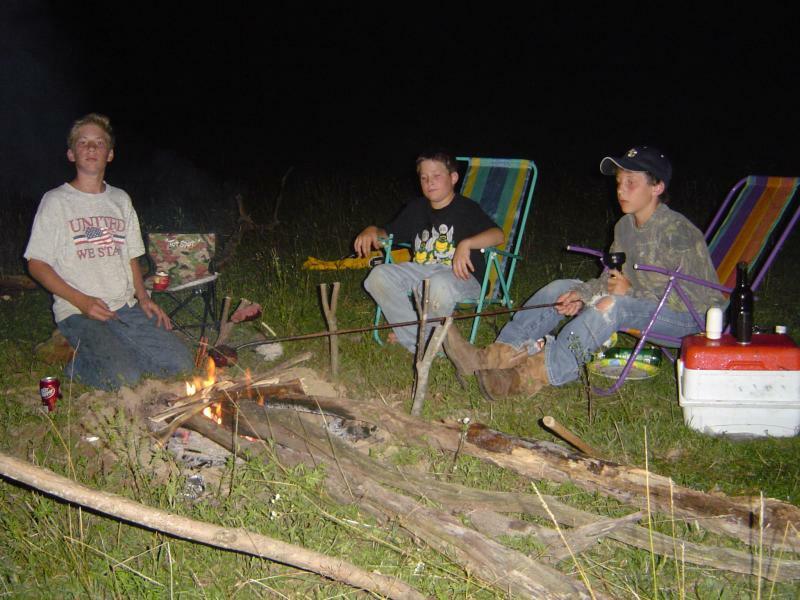 Luke, Clint and Chance camping out. Friends exploring the lake. We are surrounded here in the mountains by natural beauty and we would love to share it with you. Contact us anytime! We look forward to hearing from you.